Death!!! Every human´s ultimate journey. Life is short, death is forever!!! Death is not the opposite of life, but a part of it!!! Media pundit Bertrand Turkson, popularly known as Nana Turkson has passed on leaving the media arena heartbroken. According to his brother, Ato Turkson, he died yesterday, August 7, at the Korle Bu Teaching Hospital. He has been battling diebetes for years now. He was 42 years old. He left behind a wife and three children. 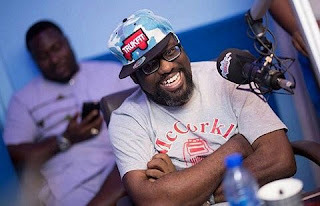 Nana Turkson served as panel member of Zylofon FM’s daily morning show Showbiz Agenda and the entertainment discussion programmes on alot of radio and television stations such as Joy Fm, Pluzz Fm, Hitz Fm, etc. He was the author of the ‘Success Journal’ which projected him widely as a person of indepth knowledge in the arts and showbiz, with a sense of humour and objectivity.